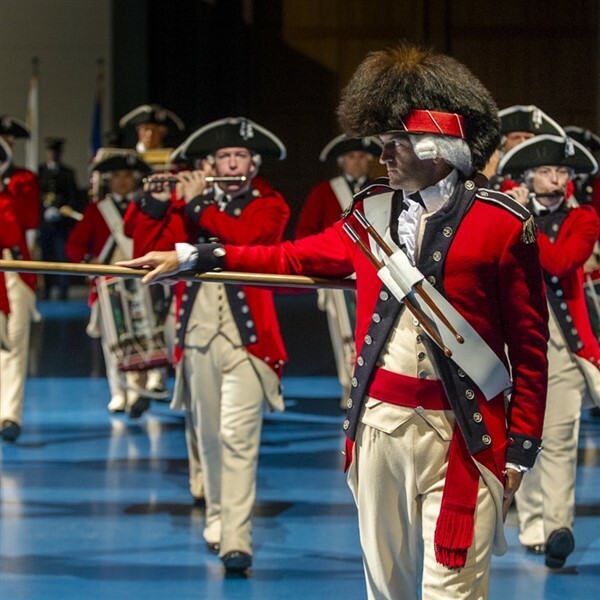 The Virginia International Tattoo summons more than 1,000 performers including fife and drum corps, bagpipers, military bands, precision drill teams, and performing ensembles ranging from step dancers to motorcycle stunt drivers. A salute to international friendship and an emotional call to the love of country in us all, the Tattoo is a not-to-be-missed celebration. 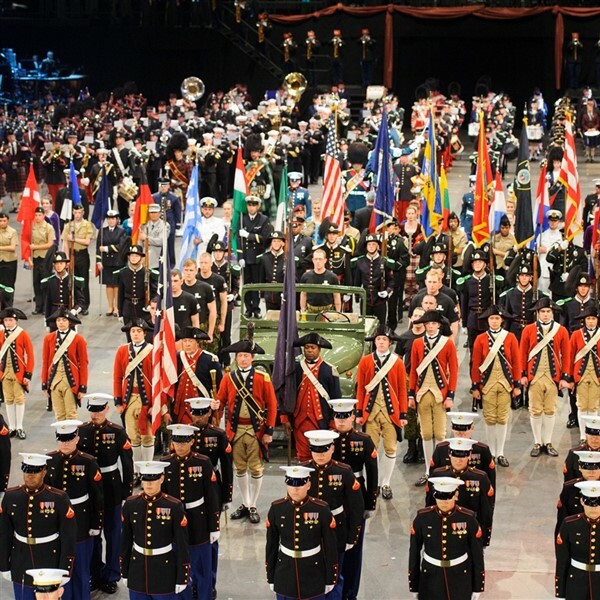 Dating back to the 17th century Europe, a Tattoo is a ceremonial performace of military music by massed bands. The Tattoo is an exhibition of marching bands, massed pipes and drum teams, gymnasts, Scottish dancers, choirs and more. This largest spectacle of music and might in the United States will be the thrill of a lifetime! While in Virginia we will take the time to tour many military inspired sights and Norfolk Botanical Gardens. Today we travel south to Virginia Beach, Virgina where we will meet our tour guide and embark on a riding tour of Virginia Beach. You will enjoy the beautiful views of the Atlantic Ocean and the Chesapeak Bay as you learn about the history of Virginia's largest city, see the First Landing Cross at Cape Henry and stop at Old Cape Henry Lighthouse. After checking-in to the Oceanfront Inn, we will enjoy dinner at Rockafellers Restaurant, a local favorite! This morning, after breakfast, we will board the motorcoach with our tour guide and depart for the Norfolk Naval Base, which is part of Naval Station Norfolk - the largest naval installation in the world. A Navy personnel will board the coach and take us past the 14 piers, through the Naval Air Station and the historic homes built for the 1907 Jamestown Exposition and "Admiral's Row" which now house the flag officers. We will then learn about Norfolk's colorful history of over three centuries as you ride through the lovely historic district and resort areas. After lunch we will visit Nauticus, with its interactive exhibits exploring the economic, naval and natural powers of the sea. Battleship Wisconsin is permanently berthed beside Nauticus. You will be free to explore the main deck and recently opened portions of the interior to learn about this famous ship. We will then enjoy a tour of the MacArthur Memorial for a glimpse into our country's history, followed by an ice cream treat at Doumar's, home of the world's first ice cream cone machine. The day will begin at one of the most unique attractions in the region - the Military Aviation Museum, home to one of the largest private collections of World War II and Korean War era fighters, bombers, trainers and seaplanes in the world. An in-depth guided tour will be given of the vintage air craft and numerous other veteran vehicles housed in a variety of hangers and within the main museum. After free time to freshen up back at the hotel we will enjoy Taste of Tattoo: A Pre-Performance Dinner Experience, featuring lively entertainment and a plentiful Southern buffet dinner. 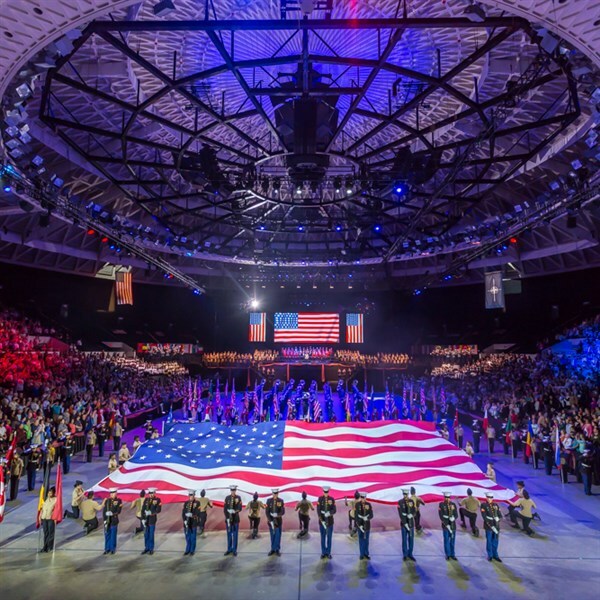 Then it's off to the main event - the Tattoo, the largest in the United States. In the premium seating section, you will see pageantry and patriotism, spirit and spectacle, talent and teamwork! Today we will enjoy a Tram Tour of Norfolk Botanical Garden. Renowned for its exceptional scenery and educational programs, Norfolk Botanical Garden is considered a premier example of horticultural excellence. The garden dates back to 1938. Today, the garden represents 175 acres of colorful landscapes, unusual flowers, mature forests and seasonal plantings and features one of the largest collections of azaleas, camellias, roses and rhododendrons on the East Coast. We will depart with stops for rest and dinner; arrival home is scheduled for later this evening.